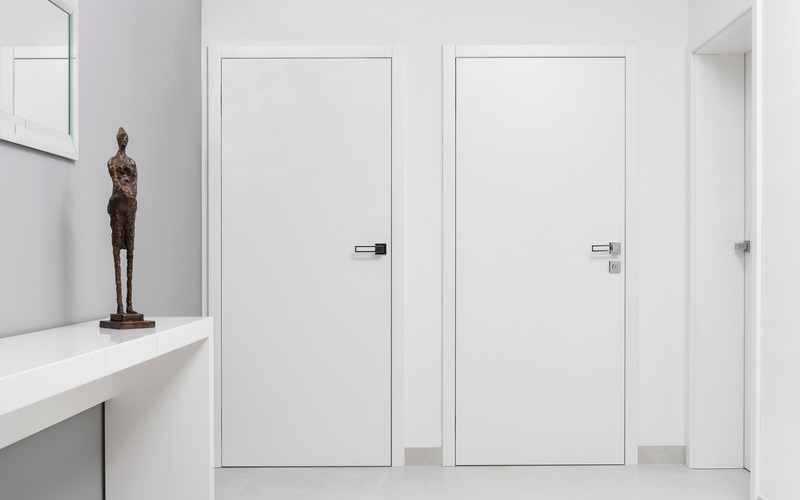 You will never perceive the HANÁK doors as a boring division between rooms. 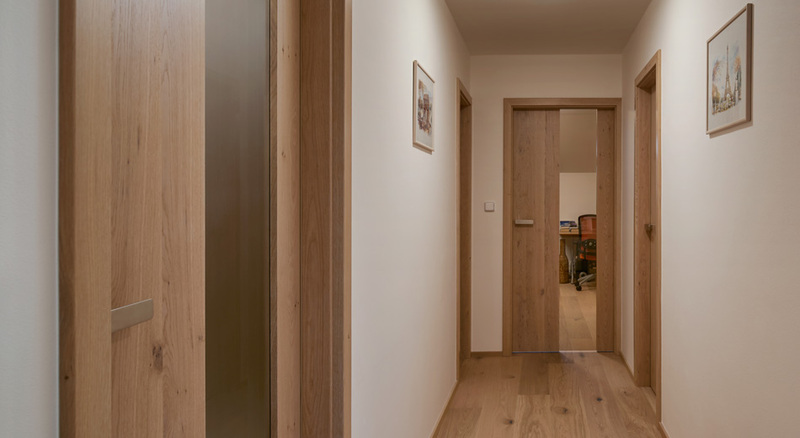 The HANÁK interior doors are totally exceptional by its technical parametres, stylish design and overall consistent look within the INTERIOR CONCEPT. In many respects the interior doors become the cherry on the cake (for example the doors in the lining). They are attractive and bring maximum comfort for their users. 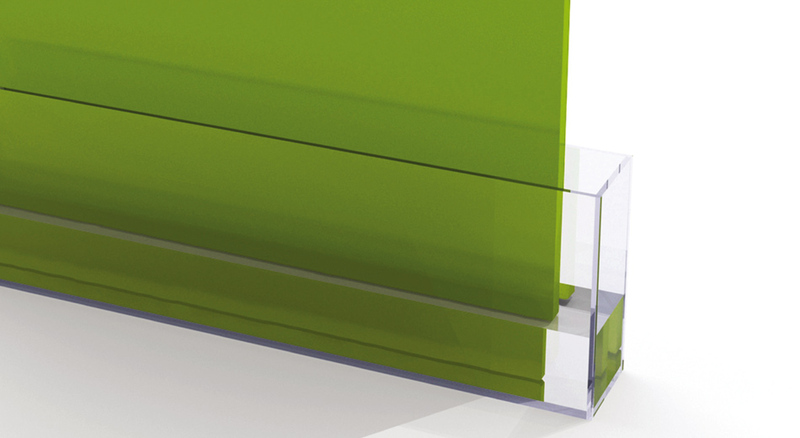 7-layer HANÁK lacquer is a term nowadays. We have been working with lacquers in our manufacturing plant for more than 20 years and thanks to much experience we have achieved the highest possible quality. 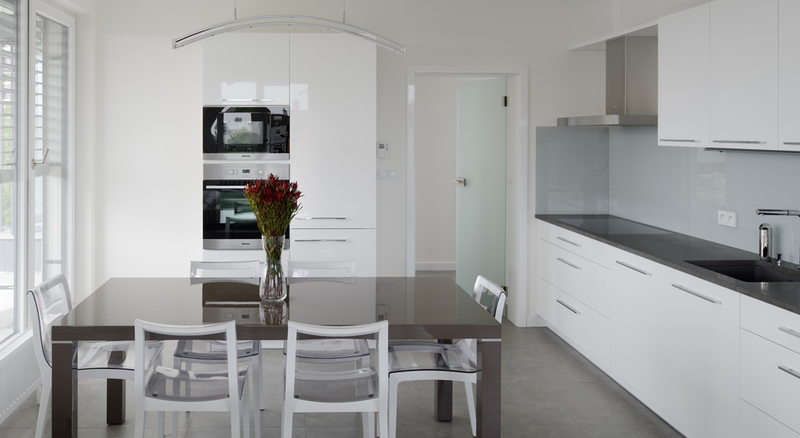 Besides the lacquer gloss, we also offer matt lacquer and the variety of colours is unlimited. We offer the highest quality natural veneers including exotic kinds of wood, such as macassar ebony or walnut root veneer. The appearance and design of the models themselves highlight the beauty of the veneered interior doors. 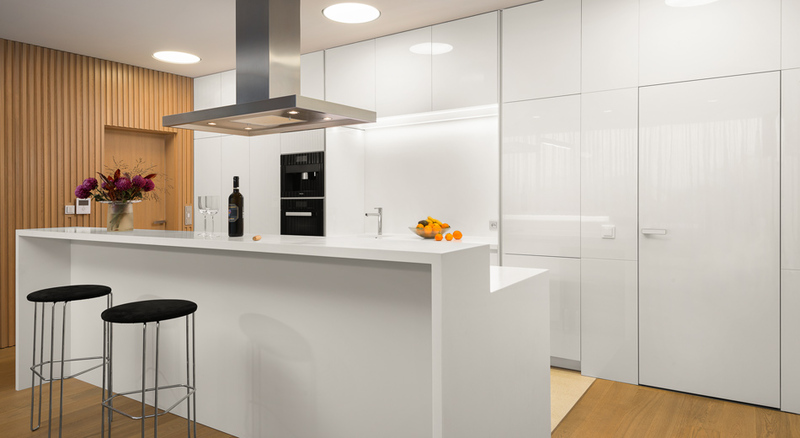 In our range of products glazed doors cannot miss, regardless of whether they are all-glass FLY model or partially-glass in selected models. 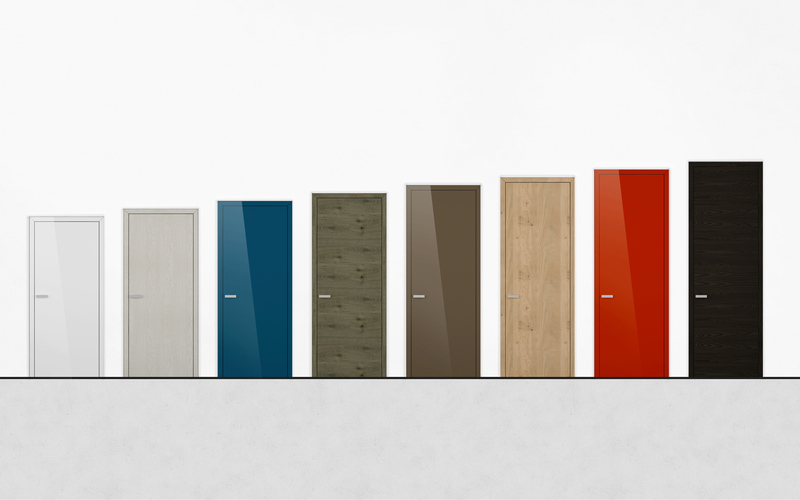 You can have the original HANÁK door jamb in the highest quality HANÁK premium lacquer or veneer. The interior doors in the lining are a highly aesthetic matter and are chosen by the most demanding customers. They appear in the most luxurious interiors where their owners lay emphasis not only on the given furniture but also on the stylish and designed solution to the whole interior. 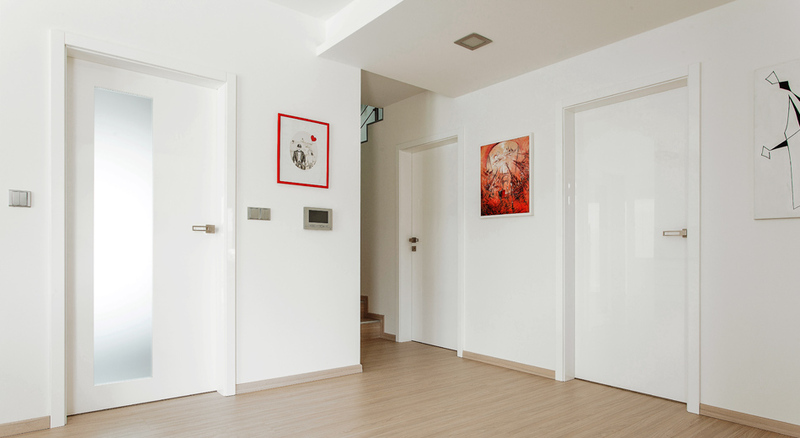 The most important advantages of the interior doors can be seen in an original design of our doors and jambs, the highest quality fittings, 100% water resistance thanks to the SLIM-LINE technology, various heights up to 2,700 mm and last but not least respected and the highest possible results achieved in quality tests and proved by quality certificates.